It’s been a while since Trance music first emerged in the dance music realm, but the enchantment still hasn’t worn off. 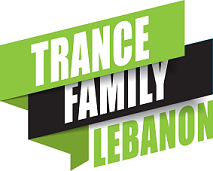 Standing out through its magical melodies and a tidal wave of emotion, the early days of Trance music enveloped the minds and souls of millions of people from all over the world and has been a staple genre ever since as it remained at the heart of many nostalgic flashbacks. And now, the next glorious instalment of the globally acclaimed ‘A State Of Trance Classics’ series makes sure all of those beautiful memories will flare up simultaneously once again.